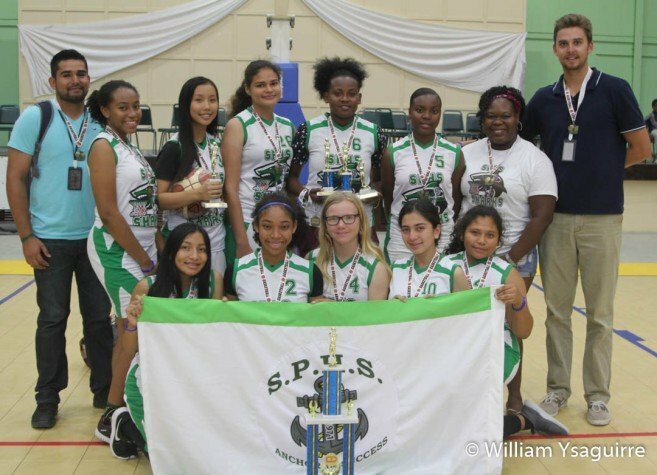 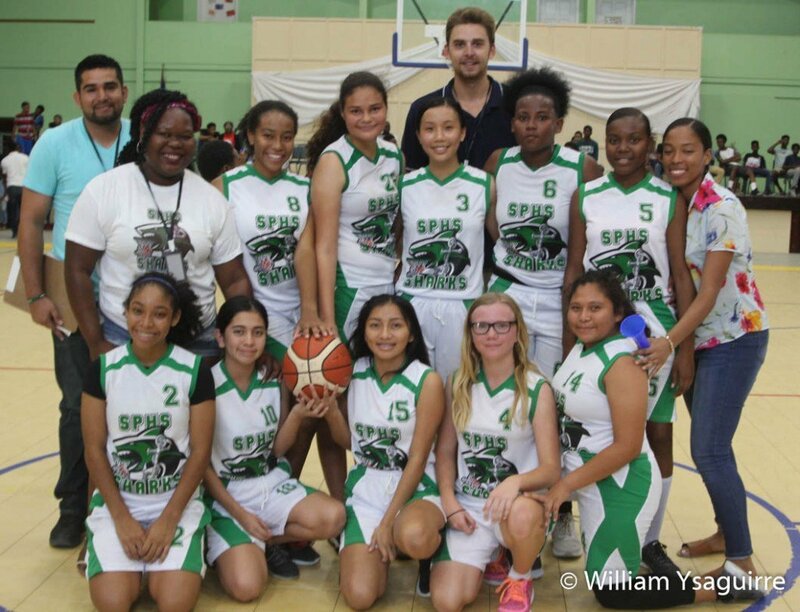 The San Pedro High School girls won the National Secondary Schools Sports Association (NSSSA) basketball in the championship, hosted by Sadie Vernon Technical High School at the Belize City Center and SCA Mercy Center last Friday and Saturday, December 14-15. In Game One at the City Center Friday afternoon, the San Pedro girls eliminated the defending champs – the Southern Zone champs, the Delille Academy girls: 39-36, led by Most Valuable Player (MVP) Normalee Gomez with 28pts. Denissa Maerena scored another 6pts, Aaliyah Pilgrim threw in 4pts, and Sophie Guan netted a free throw. 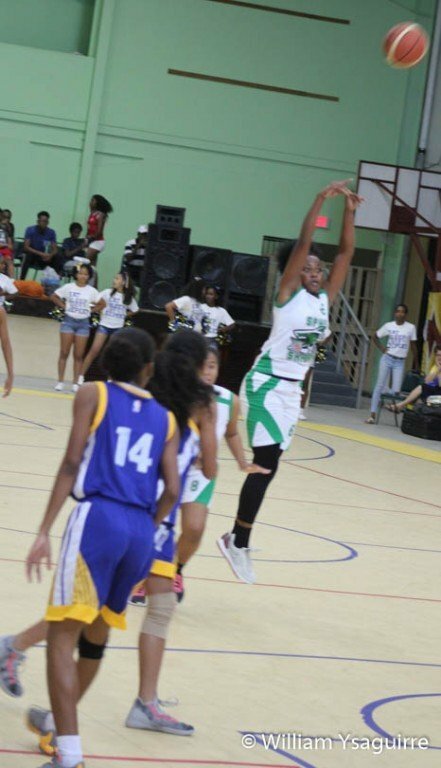 Last year’s MVP Shanell Thomas led Delille with 18pts. 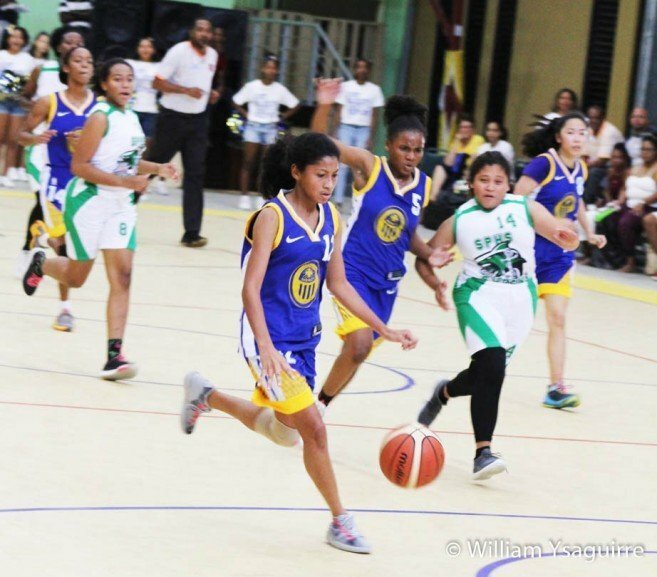 In Game Two, the Central Zone champs - St. Catherine Academy girls qualified to the finals by a 29-19 win over the Western Zone champs, the Sacred Heart College girls of San Ignacio. 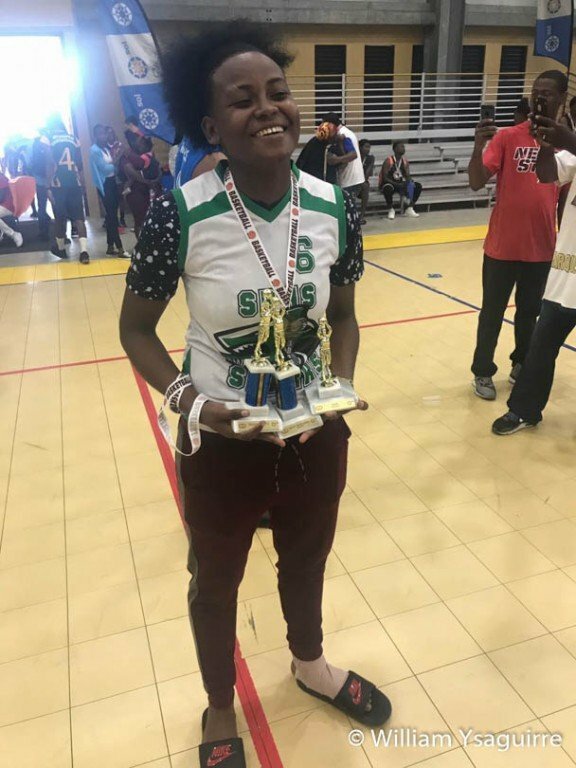 Briah Clarke led SCA with 15pts, and Afeni Lamb added 10pts. 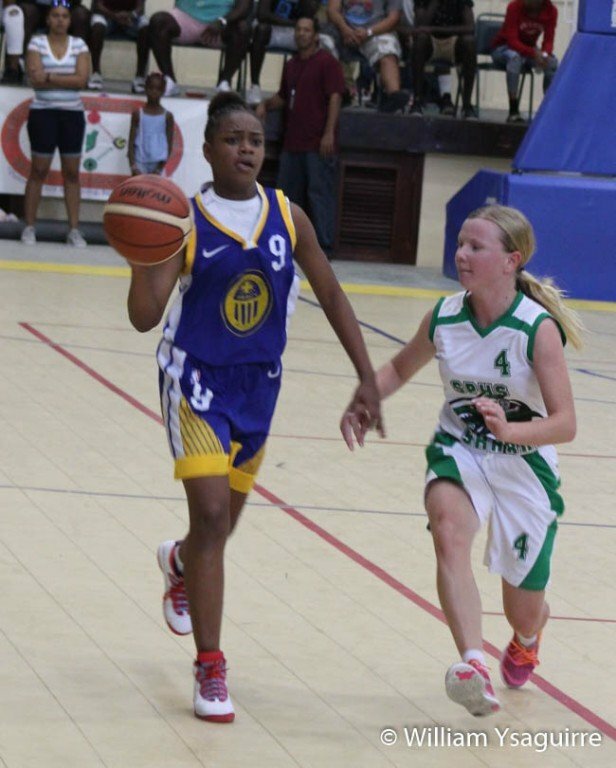 In Game Three the consolation game for third place at the SCA Mercy Center Saturday morning, the Delille Academy girls dominated the Sacred Heart girls: 42-11. 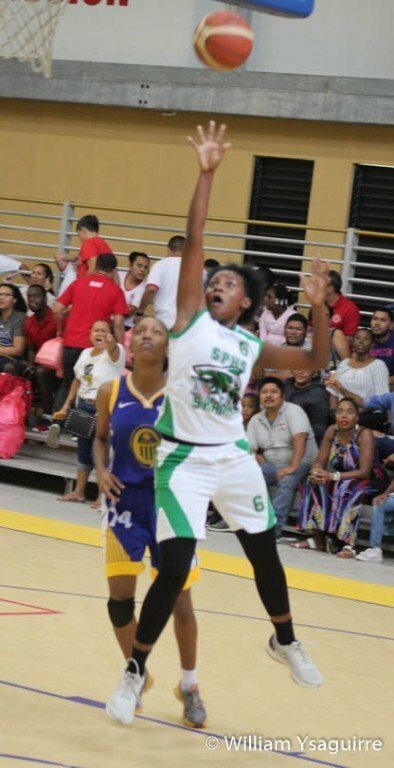 Shanell Thomas top-scored with 23pts and Edith Engleton added 8pts. 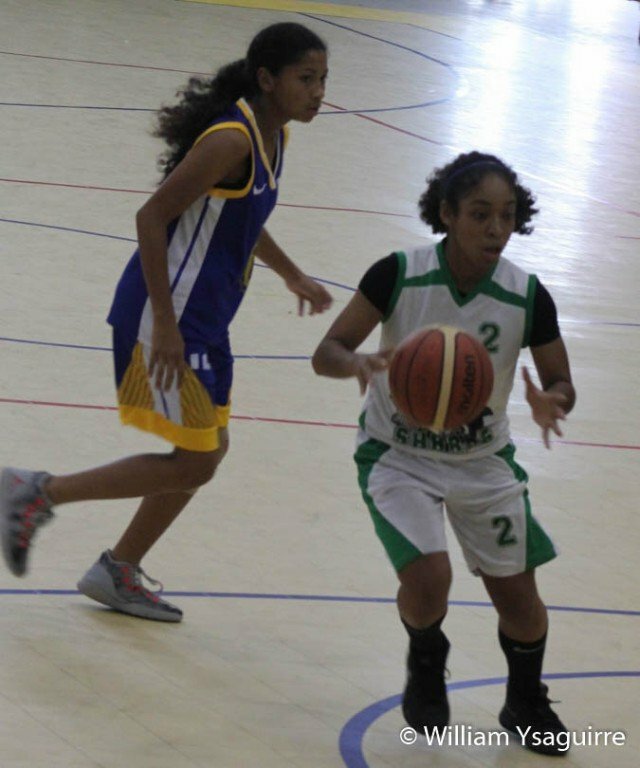 SHC’ Thania Warrior scored 7pts. 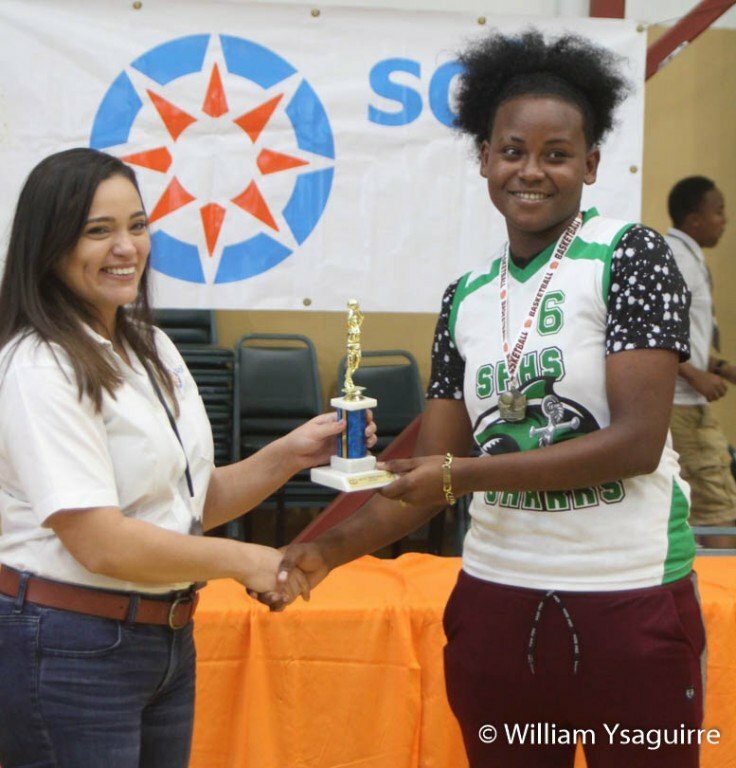 In Game Four, the championship final, MVP Normalee Gomez again led the SPHS girls with 26pts, as they romped to a 39-26 win over the SCA girls. 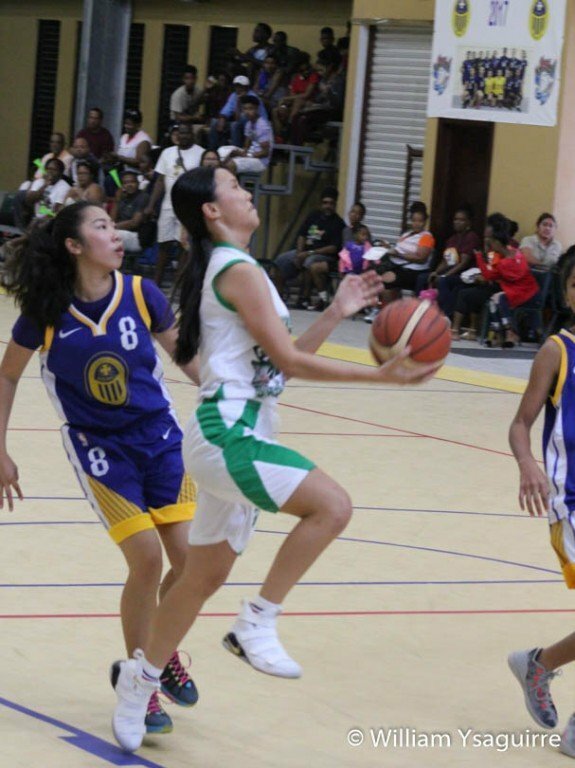 Sophie Guan scored 7pts, Dennisa Maerena threw in 4pts, and Aaliyah Pilgrim chipped in 2pts. SCA’s Briah Clarke scored 11pts, and Afeni Lamb netted 7pts. 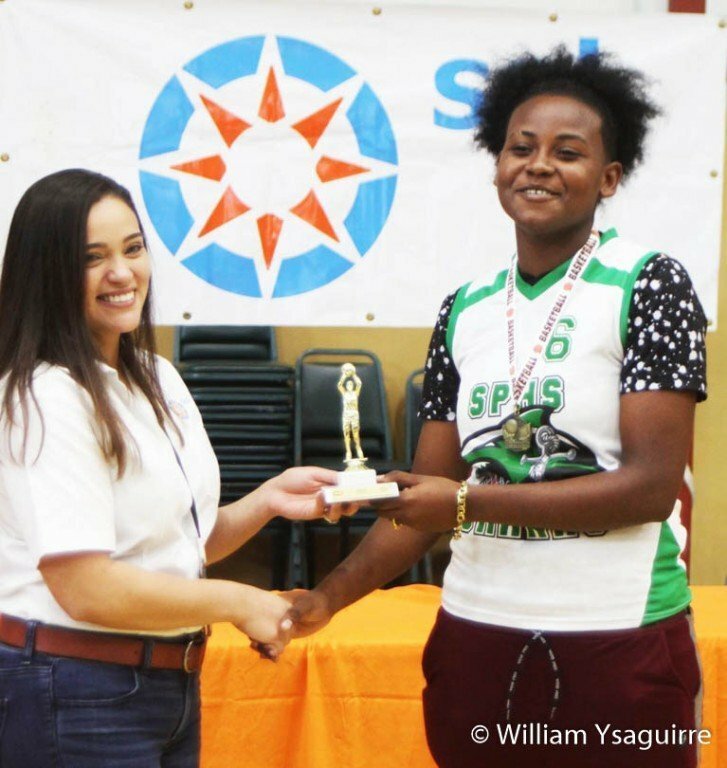 Representatives of corporate sponsor SOL Belize joined the NSSSA executive committee in presenting the championship team trophy and medals to the San Pedro High girls, while SCA received the 2nd place trophy, and Delille Academy took home the 3rd place trophy. SPHS’ Normalee Gomez won the Most Valuable Player award, as well as awards for Most Points; 27pts per game and Most Rebounds: 8.5 per game. 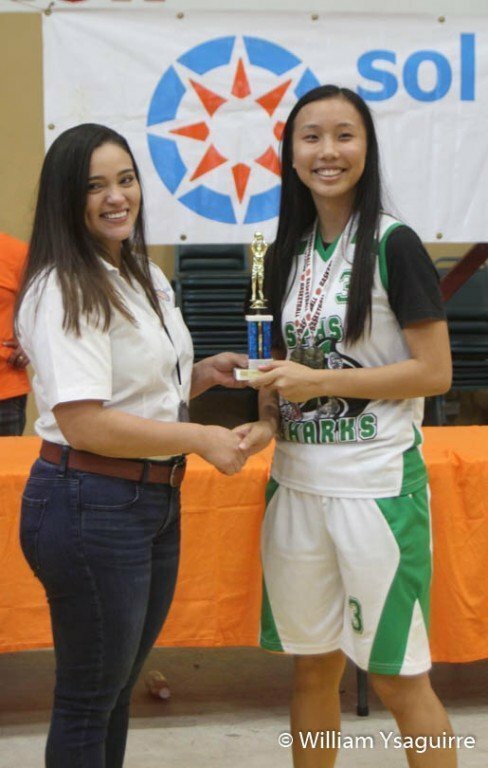 Sophie Guan won the Most Assists award: 4 assists per game. 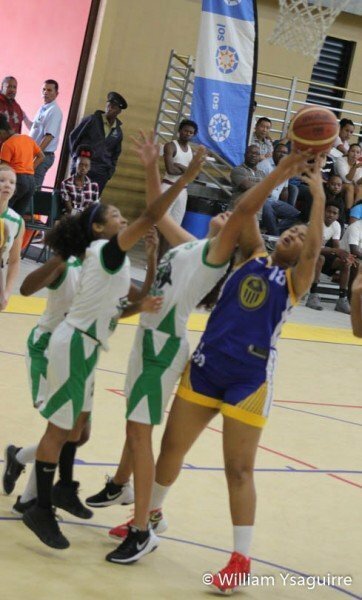 Delille Academy’s Taryn Arnold won Most Blocks and SHC’s Beyonce Villafranco won Most Steals – 3ppg. 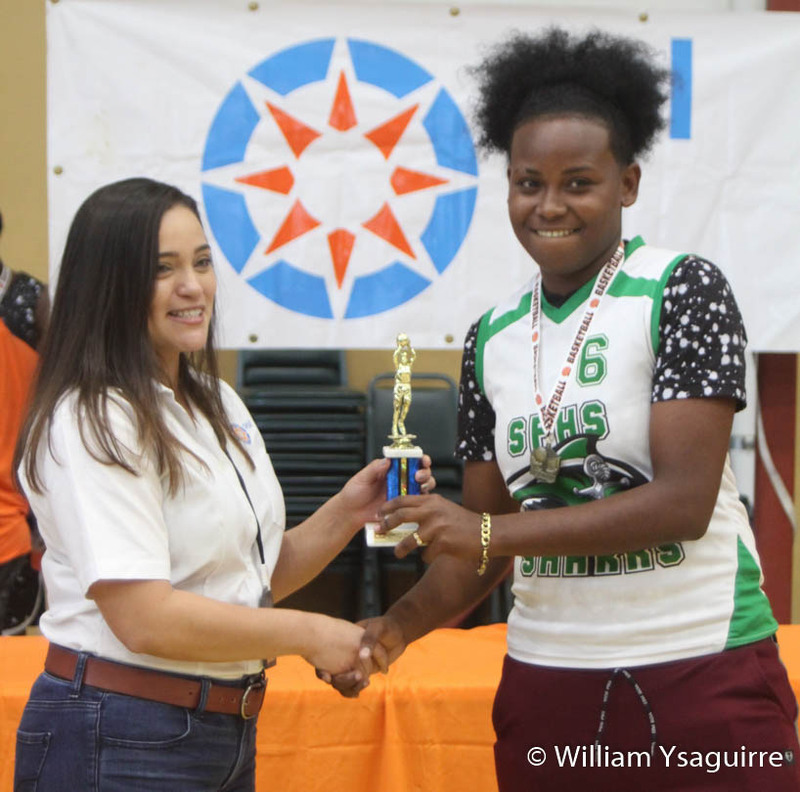 The Sadie Vernon Tech boys won the NSSSA male basketball championship: 67-66 over the 2x defending champs, the Stan Creek Ecumenical High School boys, and SVTHS’ Tyrese Usher won the MVP award.